The drink acts as an instant energy booster. The drink cools and refreshes body and mind naturally. The drink alleviates problems of acidity and constipation. Vedantika Herbals Instant Thandai Milk Shake is a blend of natural ingredients like almonds, pistachios, saffron, poppy seeds, melon seeds, rose petals, nutmeg, cardamom, fennel seeds, and milk solids. The drink acts as an instant energy booster. The drink cools and refreshes body and mind naturally. The active ingredients of the drink contribute to good health and increased strength to the body. The drink alleviates problems of acidity and constipation. This drink is rich in nuts and acts as a good healthy snack option. It contains essential nutrients and vitamins necessary to revitalize the body instantly. The drink is purely natural and contains no synthetic flavour or color. 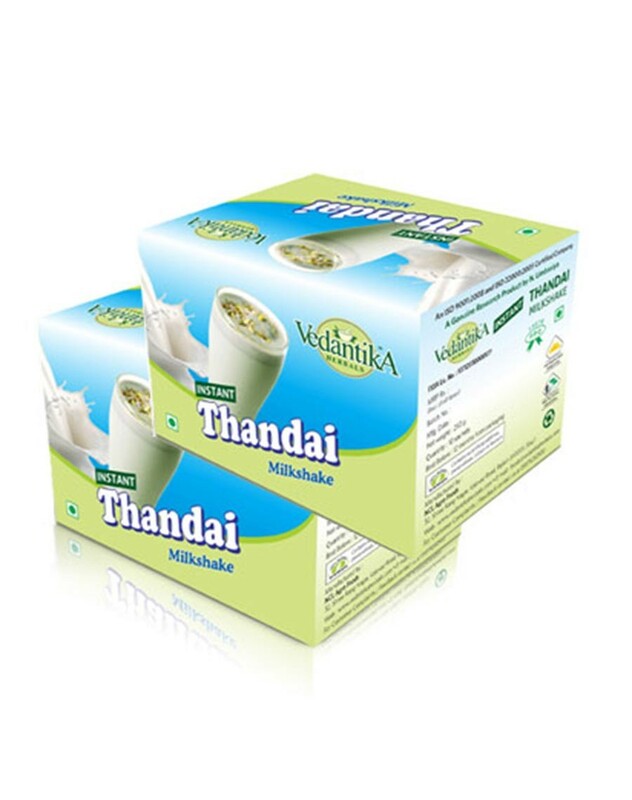 Vedantika Herbals Instant Thandai Milk Shake strengthens nervous system.